New covered aquatic area with slides! 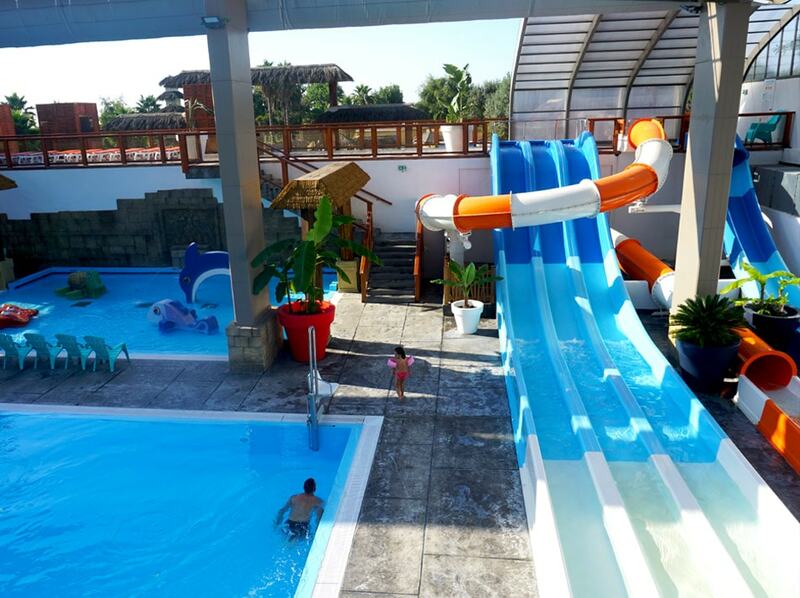 The “Aquadôme” is an aquatic area designed for you and your whole family: 1500m² covered, a paddling pool, 5 slides and a large pool... It is the little extra that makes your holidays unforgettable! Upstairs, a relaxation area with its many sun chairs. Ideal for sunbathing and relaxing while enjoying the view of the slides and the Tao pool. 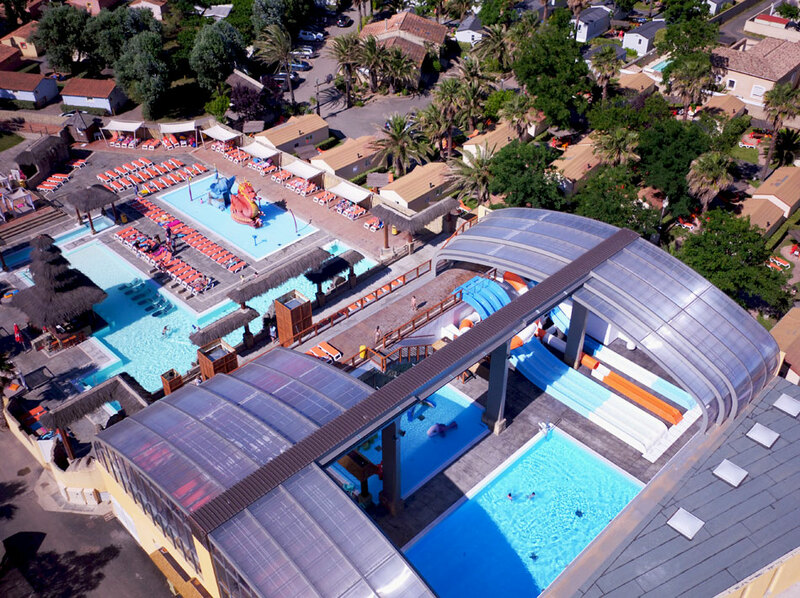 L'Aquadôme is the guarantee to enjoy swimming all season long at your campsite in Vias Plage. 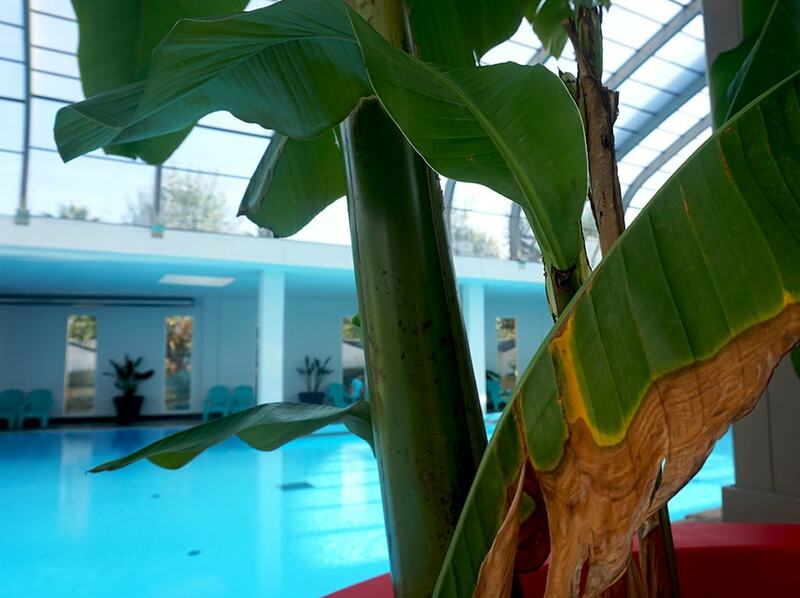 Equipped with a covered and convertible sun roof, this aquatic space is suitable in all weather and temperatures. 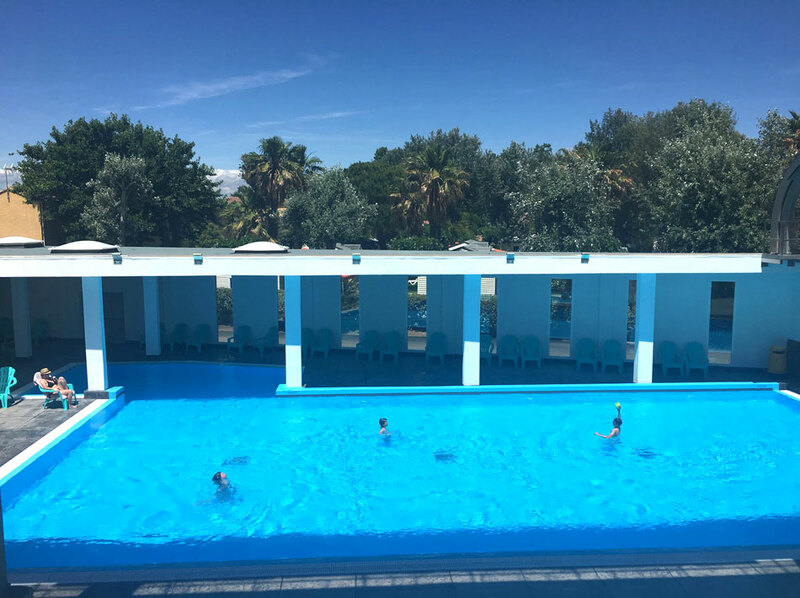 The large swimming pool is heated in low season and is accessible to people with reduced mobility. Slides for guaranteed thrills and a space for the little ones. 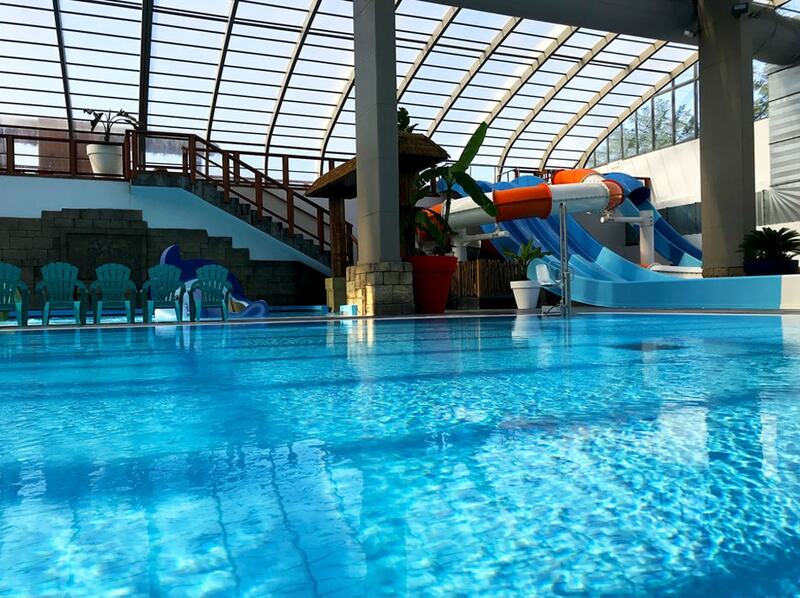 A water park worthy of a 5-star campsite with five slides for the greatest pleasure of children and their parents. 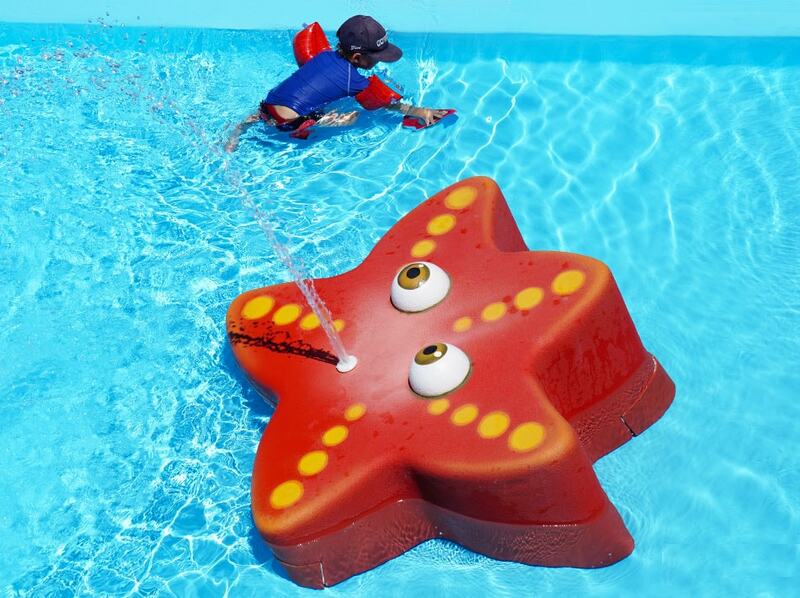 But also a paddling pool for your small children. An area designed for them with water jets in the form of aquatic animals.... all in a depth of 30 cm. The little extra: colourful deck chairs to relax in the sun while watching the children. For safety reasons, the minimum size required for access to the slides is 1.10 metres. On the slides, children are placed under the supervision of their parents.